In the competitive electric razor market it's more than just the number of blades that makes one model better than another. For example, Panasonic's new ES-LV65-S packs a five-blade cutting system, but that's not why those of us with impossibly thick beards will want one. 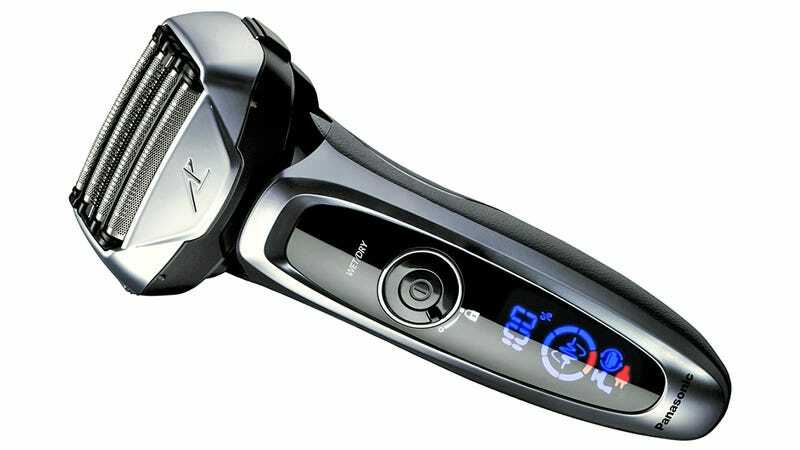 The razor's also got a built-in sensor that detects the density of stubble on your face and automatically adjusts the motor's speed so the blades easily hack their way through. The ES-LV65-S is also completely waterproof, allowing you to shave in the shower and run it under water to clean off trimmings. An LCD display provides detailed on information on the razor's automatically chosen shaving mode, when you need to clean it, and when you should replace the blades. It also lets you keep tabs on the remaining battery life, as on a full charge you'll have about 45 minutes to get every last whisker.